The Citizen’s Bomb. Long live the revolution. How to get height level of tile in iso view. 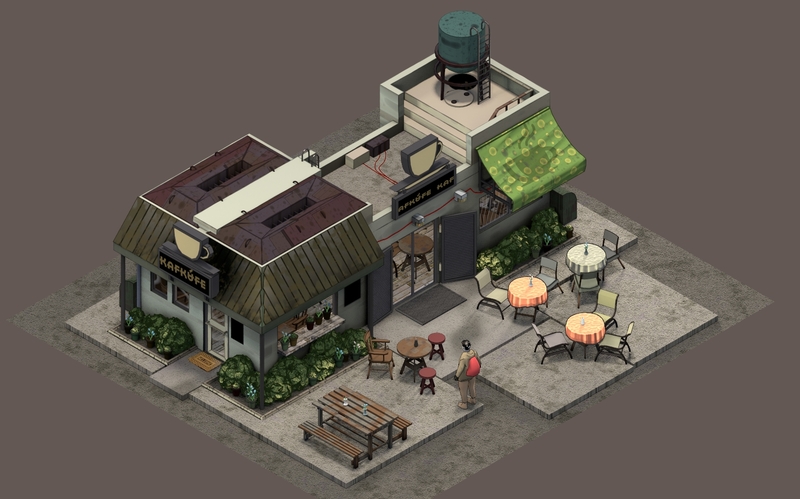 The purpose of this graphic is to determine the unit height of an agreed isometric tile. This unit height is important to when modelling 3d objects which feature floor levels. The next height level should always correspond to the tile above. Need the Hypothenus to get the diamond’s upper and lower tips. 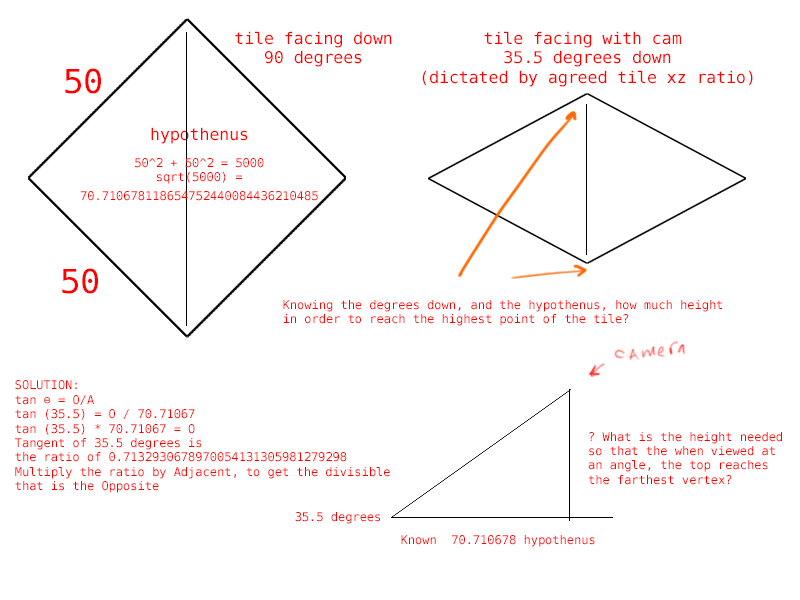 Knowing the camera angle and the Hypothenus, what is the Opposite. If O and A is known, what is the angle? Solve for the camera angle needed to match a 2x2m tile’s height with the grid if the height is 100cm and 200cm.